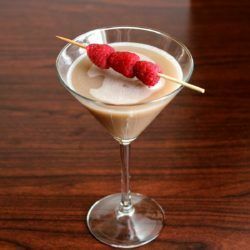 There are two versions of Chocolate Raspberry Martini recipes out there. One of them is clear and has just two ingredients. The other adds some color, plus a touch of Tia Maria. 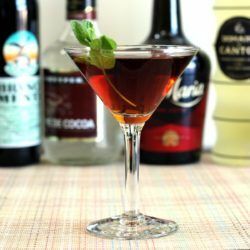 The Branca Menta Hopper started out as a re-imagining of the classic Grasshopper recipe. But by the time I finished developing the recipe, I wasn’t sure how much it even resembled the original. 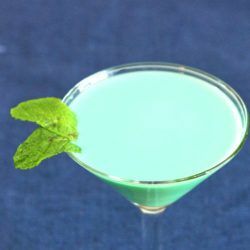 The Grasshopper drink is an old classic cocktail that’s very simple. 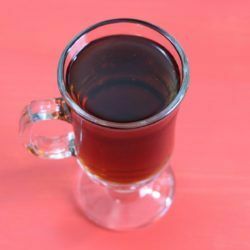 It tastes like chocolate mint candy converted into a liquid form with only a slight kick. The Berry Chocolate Martini is entirely clear in color. 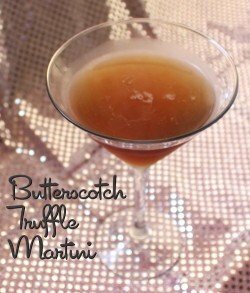 It blends blackberry schnapps with raspberry vodka and white creme de cacao, so the resulting taste is exactly what you’d think from the name. 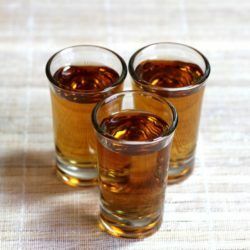 The Crispy Crunch shooter cocktail gets its name from a brand of chocolate and peanut bar made by Cadbury. 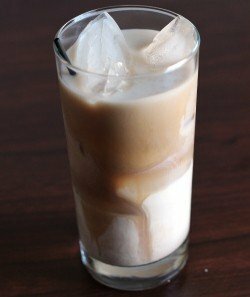 It’s pretty sweet, with Kahlua, Creme de Cacao and Frangelico. But the Metaxa brandy adds surprising floral and spicy notes. 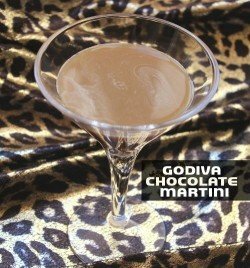 The Godiva Chocolate Martini blends Godiva chocolate liqueur with creme de cacao, amps it up with a touch of vodka and smooths it all out with some half-and-half. 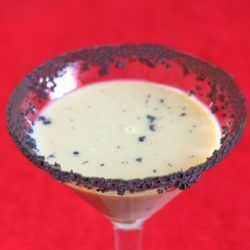 The Reindeer Tracks Martini is a delicious blend of chocolate vodka, Frangelico and creme de cacao. Chocolate and a hint of hazelnut are so easy to love together.